The SnörEx® LadySnore is a custom made snoring mouthpiece. 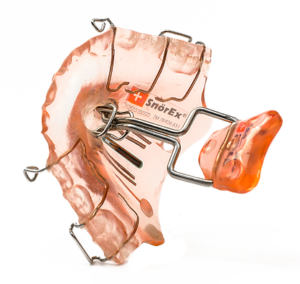 The SnörEx® LadySnore stabilizes the soft palate and prevents the tongue from sagging. As a result, the airway is free and vibration (snoring) is prevented, making the SnörEx® the most effective snoring treatment of the last 20 years. There is no operation involved. You only need to wear SnörEx® at night. Swallowing and talking remains possible. 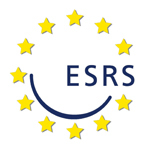 It is the only snoring treatment made especially for women. More and more women are snoring but there still is a taboo. Many ladies are often ashamed of themselves amongst their partner or friends. During the free first consultation our experts make an imprint of your teeth and start crafting the personalised SnörEx® LadySnore mouth piece. The exact fitting and manual production is crucial because the mouth is as unique as a finger print. At collection , the last fine-tuning takes place and then the tongue retaining device is ready to go. The SnörEx® LadySnore is comfortable to wear after a short habituation and very effective. The SnörEx® LadySnore can also be used with prosthesis carriers. The SnörEx LadySnore does not give any painful jaw position change and / or jaw joint complaints. More than 40,000 women wear SnörEx® LadySnore. The SnörEx® LadySnore weighs 5 grams.